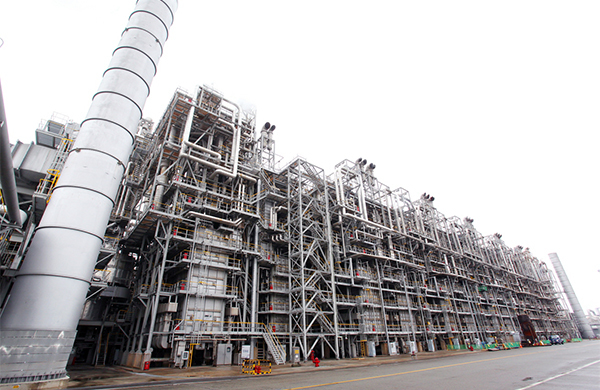 LG Chem`s NCC facility in Yeosu, South Jeolla Province. South Korea’s leading secondary battery maker LG Chem Ltd. debt offering was bumped up to 1 trillion won ($885.8 million) as book-building drew unprecedentedly robust demand of 2.64 trillion won, underscoring investors’ confidence and appetite for the company’s expansion plan ahead of electric mobility age. 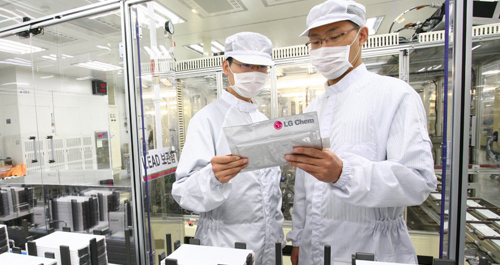 LG Chem doubled the offering from initial 500 billion won in a fund-raising scheme to expand battery capacity, upon confirming overwhelming demand in the book building session on Tuesday. The bonds in multiple tranches will be sold on March 12 - 160 billion won in notes dated three years, 240 billion won in five years, 200 billion won in seven years and 400 billion won in 10 years. Given the staggering demand, the bonds will likely be priced at 0.01 to 0.07 percentage point below market average. LG Chem said the proceeds will be used to expand its production capacity to cope with increasing electric vehicle battery orders and expand its naphtha cracking center (NCC) facility in Yeosu, South Jeolla Province. They will be used as a long-term investment source and facility funds to establish future growth foundation. Jeong Ho-young, president and chief operating officer at LG Chem, said that it was able to draw overwhelming demand for its corporate bonds as investors highly evaluated the company’s stable financial condition and future potential growth. Last year, LG Chem raised record sales since its inception and set a sales goal of 32 trillion won for this year, up 13.5 percent from last year.